Chail was built as the summer capital of the erstwhile Maharaja of Patiala in Punjab. It has an interesting story behind it. In 1891, Maharaja Bhupinder Singh incurred the wrath of the British and was banned an entry to the summer capital of Shimla. This enraged the Maharaja and he vowed to build a better summer capital in the vicinity of Shimla for himself. And indeed! Chail, a little village close to Shimla, was a slice of heaven. It was perfect surrounded by magnificent deodar forests and also in close vicinity of Shimla. Moreover the hill of Chail at 2226 meters was somewhat higher than British-controlled Shimla, this definitely satisfied the ego of the King and he started developing Chail according to his needs. Chail is built on three hills. 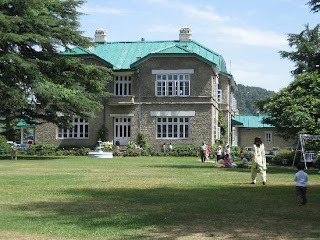 The palace is on Rajgarh Hill, the Residency Snow View, once occupied by the British, is on Pandhewa Hill and the town of Chail is situated on the third hill Sadh Tiba. This small village also boasts of the world's highest Cricket ground built by the Maharaja himself who was great patron of the game. Nature is at her exuberant best in Chail. The majestic snow capped Shivalik peaks, the beautiful orchards and sylvan pine valleys surrounded by Deodar forests and crisp air… Chail surely casts a spell. The River Sutlej which takes twists and turns and the valley beneath offers a stupendous view form the hills of Chail. Chail is enchanting and the views are mesmerizing. Chail is a small hamlet where the nature has showered with all its beauties, where time stands still and romance is in air. Truly a paradise for all. 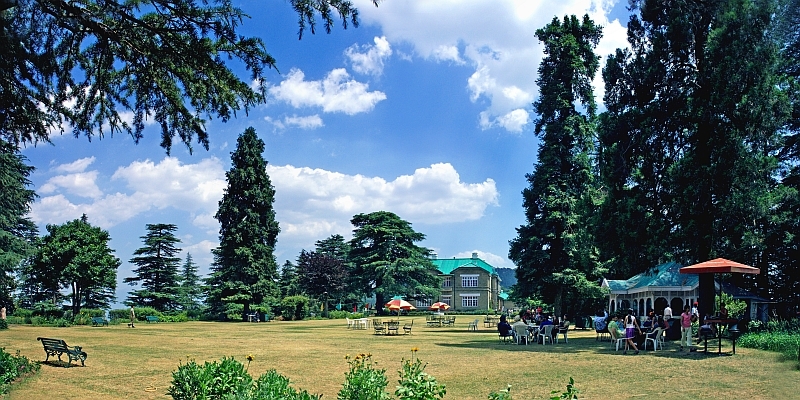 Location: Nearly 45kms from Shimla, this small town is cushioned between the Shivalik hills and is hardly seven to eight hours distance from the national capital of Delhi. The virgin mountainous heaven is truly a honeymooner's paradise. 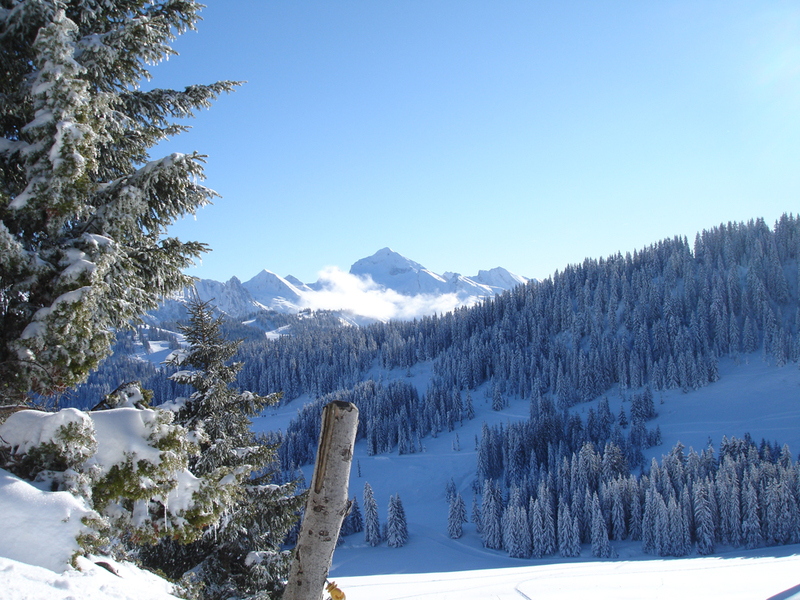 Best Time To Visit: March To November & December to Februay to enjoy the winter sports. Mostly Chail should be enjoyed for its natural beauty with its beautiful scented forests and the scenic beauty of the valleys of pine forests. Chail receives snowfall in winters and the snow gives way to marvellous flowers those blossom on the trees and the whole valley changes its colour. One of the few important sites that need special visits is the Palace of the Maharaja. Built in 1891 on the hills of Rajgarh, it was devastated in fire and was rebuilt in 1951. Today it has been converted in to a heritage hotel property, but still holds the charm of the bygone era. The Sidh Baba Ka Mandir was supposed to be the actual site of the palace that was built in 1891. But the legend goes that after the work of building the palace on the site was initiated, Maharaja Bhupinder Singh dreamt of a saint who said it used to be his place for meditation. Thus the Maharaja stopped the work of palace over here and instead built a temple dedicated to the saint and named it Sidh Baba ka Mandir. Chail boasts of world's highest cricket ground. The Maharaja was a great admirer and patron of Cricket. Therefore he developed the ground with all the amenities. The highlight of this place is not only the altitude that it is placed on but the magnificent view that it commands. The Maharaja made it a point to have all that Shimla did not have to score over the British. Jungle Livinn Camps and Retreat is a splendid resort in the picturesque valley of Chail. The resort acts as an ideal gateway to the nature’s best, for the tortured city souls. It offers majestic views of the verdant valley and elevated mountains. Moreover, Jungle Livinn has all the facilities to make any stay absolutely comfortable. Harmony Hotel was launched in May, 2008. The brand new hotel building has the furniture and furnishings specially selected keeping in view the current taste of the guests, gives it a fresh look. In short span of its operations, the Hotel had started getting recognition as one of the most popular hotels in the area. The Hotel has 22 spacious rooms with three types of rooms starting with the highest being Super Deluxe, followed by Deluxe and Executive. The facilities include almost all the basic amenities that a guest expects. The feedback register has recorded great interest by the guests to return to the Harmony Hotel on all their future visits to Manali. The guests included from all over India as also visiting Indian guests from overseas. Therefore, the guest base is increasing every day making the hotel one of the most sought after hotels in Manali. Harmony Hotel is also now well known among the travel agents all over India who have evinced their keen interest to sign long term agreements with us for stay of their guests. The Reservation of rooms can be done on phone, fax or online from the website of the Hotel. TheHarmony Hotel offers club membership to all its guests on their first visit to avail special discounts on the future visits by them and their relatives and friends. Toshali Royal View Resort is situated 24 km from Shimla on the Kufri-Chail road, Toshali Royal Resort stands majestically in the center of the Golden Triangle of Shimla, Chail & Kufri. It is complete with all modern amenities which makes this place a favorite among the tourists. Rashi Resorts nestled in the thick Himalayan pine forests of Chail in Himachal Pradesh, situated at a height 7054 ft. ( equivalent to Shimla`s ) beckons you to a unique experience of God`s beautiful creation of Nature untampered by man.The imposing mountains, the picturesque flower decked valleys, the deep and dark woods, the cool crisp air, the tangy smell of pine, the misty mornings, the golden Sunset and snowfall in the winter is sure to set your heart beating with Joy - the sheer magic of nature is sure to gladden your heart.